a used book with the signatures (pages) removed. 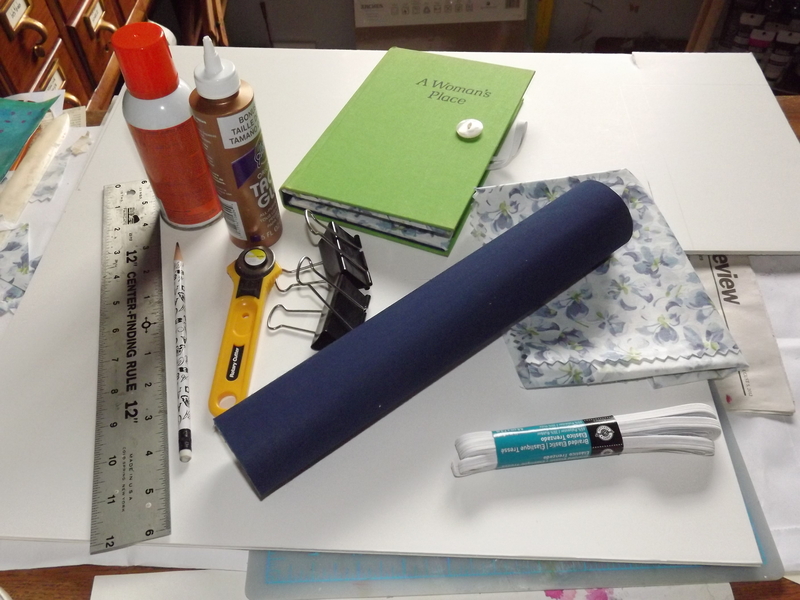 [It’s important to keep the spine of the book intact], foam core, book cloth, coordinating fabric, spray adhesive, tacky glue, Exacto or rotary cutter, ruler, bone folder, bull dog clips, elastic, button. Once the signatures are removed from the cover of the book, measure and cut two pieces of foam core-one for the inside front and one for the inside back. That is the white area in the photograph below. Cut your fabric the size of these foam core pieces plus one inch. 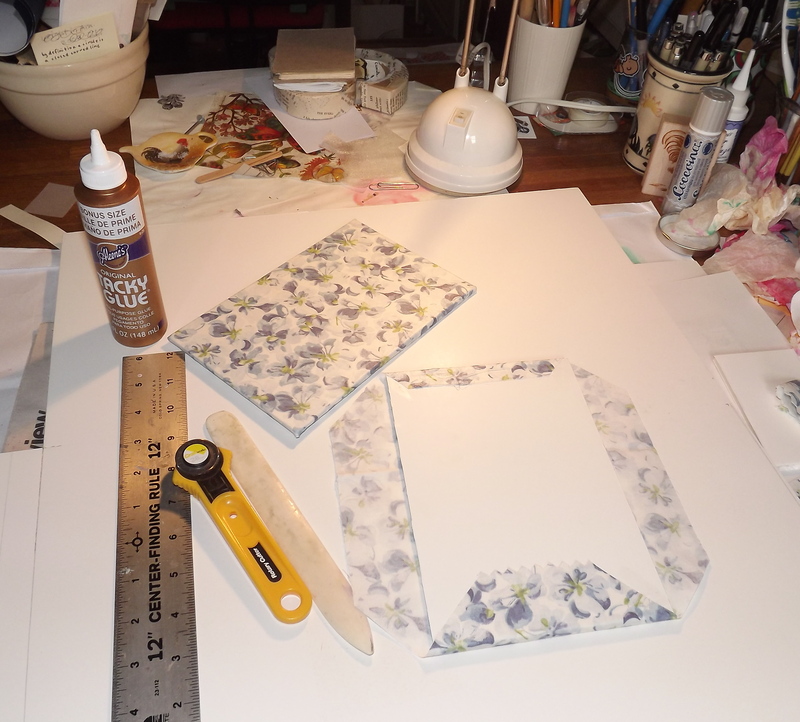 Use spray adhesive to glue the fabric to the front of the foam core. Wrap around to the back and glue or tape down. Set these two pieces aside. Measure the inside width and length of the book. Cut the book cloth this size to line the inside of the book. 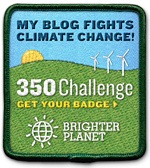 If you’d rather use fabric for this, add a half-inch allowance and press under, so the edges won’t be frayed. 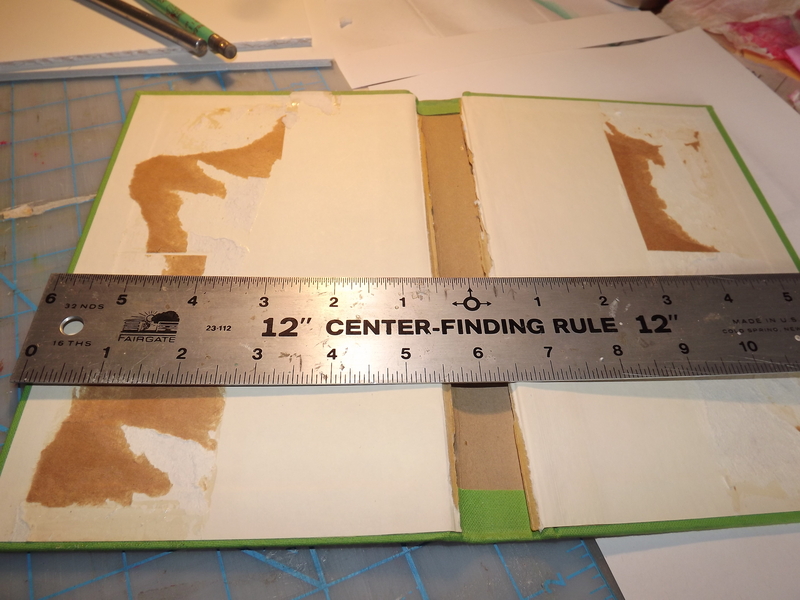 Using tacky glue, glue the book cloth to the inside of the book, beginning with the spine in the middle. 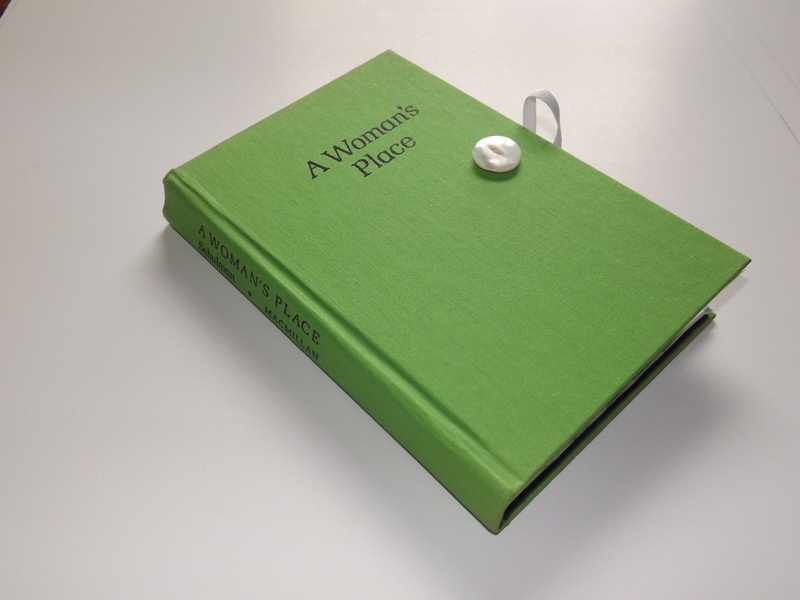 I clamped the cloth to the front side of the book, just to keep it from shifting. Once the glue is set, continue gluing the book cloth-first to the back inside, clamp to hold, then to the front. You could probably use spray adhesive for this. I just preferred the tacky glue. Let this set up for awhile. Back to the foam core panels. You’ll need to put elastic at the four corners to hold the Kindle in place. Choose one of the fabric covered foam core pieces as the back panel. Place the e-reader in the center of this panel. Cut four pieces of elastic 2″ long. Starting on the bottom of the e-reader, place the elastic over a corner so you can see where the ends will have to go into the foam core. Make a slit for each end of the elastic in the fabric covered foam core. Insert the elastic and tape on the back. Repeat for the top of the e-reader. 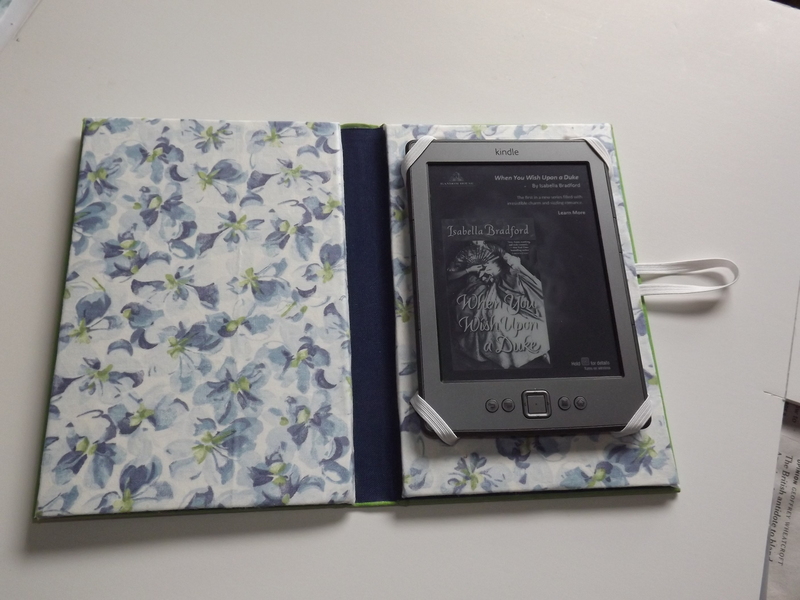 Make sure the e-reader fits comfortably in the elastic holders and make any adjustments if necessary. Be sure the elastic is taped securely on the back of the foam core. Cut one more piece of elastic about 5″ long. Tape it to the back inside of the book. In the photograph, you can see the four elastics holding the e-reader in place and the 5″ piece of elastic that will keep the book closed. Now, apply spray adhesive to the back of the fabric covered foam core piece that will cover the inside front. (The left side in the photo) Adhere it to the book. Press down, making sure it adheres well. Do the same with the back inside piece of foam core. You can weight this overnight if you like, but I did not find it necessary. Finally, put some tacky glue on a button and place the button on the front of the book cover, lining it up with the elastic to make a closure. Let everything dry overnight. You don’t want to strain the button closure before it’s ready!